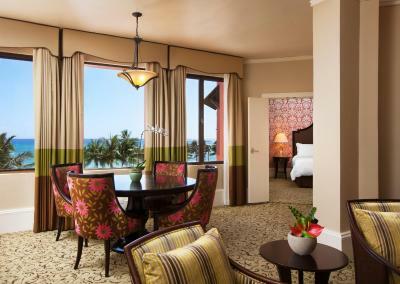 Lock in a great price for The Royal Hawaiian, A Luxury Collection Resort, Waikiki – rated 8.2 by recent guests! 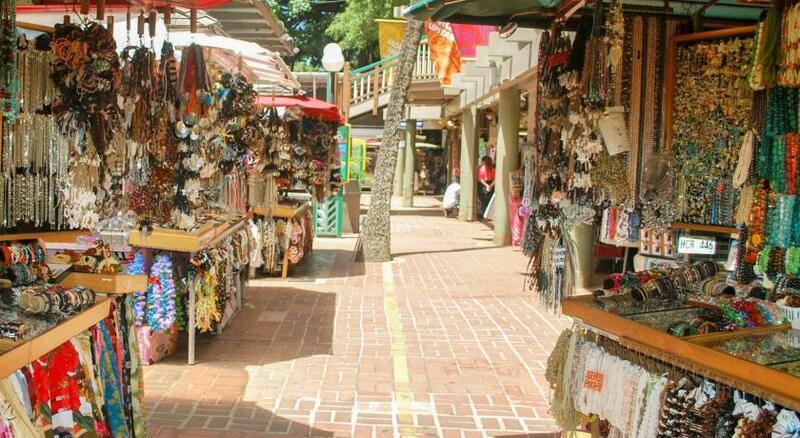 This was our first visit to Hawaii and we loved everything about it. The Royal Hawaiian was the perfect start to our vacation. Beautiful property right on Waikiki. The rooms are gorgeous and the staff was amazing. We loved our stay. We definitely want to come back. All pinky !!! And the room has lounge slipper which a lot if hotels don’t have. Small detail but it caught my attention. There is a 5 week strike going on and the restaurants, bar and all the activities are closed. The staff that is left is excellent. We arrived only to find the food service/ valet/ housekeeping staff has been on strike for 3 weeks. There was no valet, no room service, no restaurant open, and the Mai Tai bar/ pool food service not available, and no bakery open as listed in description. It was disappointing because we paid for a premium room expecting full hotel services. ( our booking was nonrefundable). 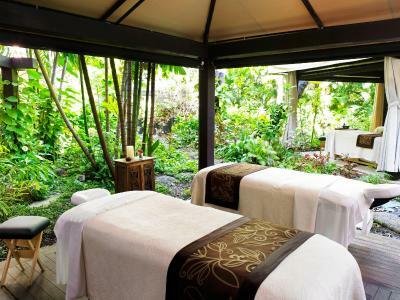 This is the place to stay for a real Hawaiian feel with beautiful grounds, lush green plants and trees, very quiet and romantic. This was a return trip for us. 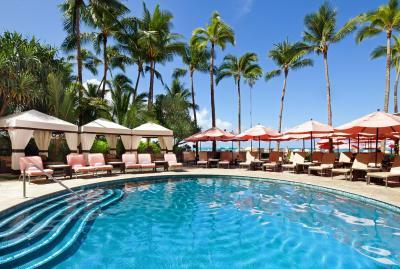 My wife and I stayed at the Royal Hawaiian in 1972 when I was on R&R from Vietnam and so wanted to repeat on this trip. Stayed in one of the historic rooms, as we did in 1972. This grand hotel has not lost its charm and beauty. The beaches are wonderful. Location is outstanding. Had two wonderful dinners at Azure. Enjoyed watching a wedding on the lawn. Concierge was particularly helpful with tour arrangements. Most memorable stay at this beautiful, famous, historic hotel! Fantastic beach in front. I like staying in the Historical Junior Suites. It makes me feel so special. 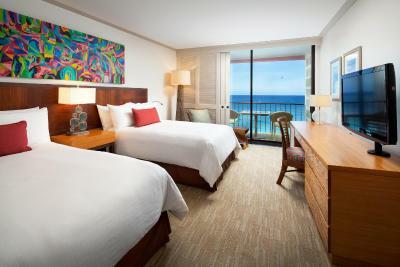 This is Hawaii's premiere hotel and everyone works so hard to keep it that way. I will stay here again someday! 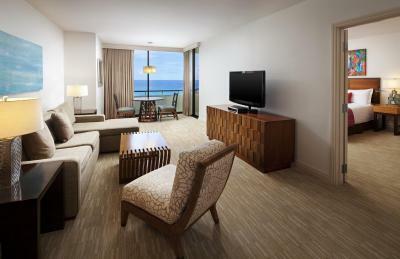 The Royal Hawaiian, A Luxury Collection Resort, Waikiki This rating is a reflection of how the property compares to the industry standard when it comes to price, facilities and services available. It's based on a self-evaluation by the property. Use this rating to help choose your stay! 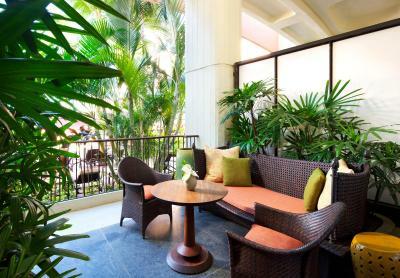 One of our top picks in Honolulu.The Royal Hawaiian, a Luxury Collection Resort is located in the heart of Waikiki, in Honolulu, and offers a fitness center, full-service spa, an on-property bakery, exclusive area on the beach, beach activities, two outdoor pool options, and cultural activities. 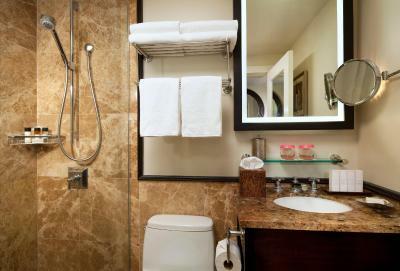 Offering basic high-speed WiFi, each room is equipped with an iPod docking station and a refrigerator with 2 bottles of water. 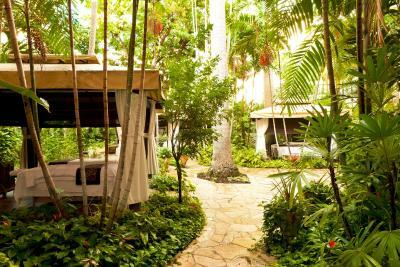 Decorated in tropical colors and themes with airy windows the rooms also feature views of the garden or ocean. 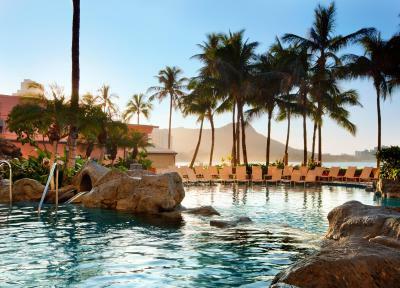 Guests at The Royal can swim in one of two outdoor pools, the Malulani Pool and the Helumoa Playground, or relax on the beach. 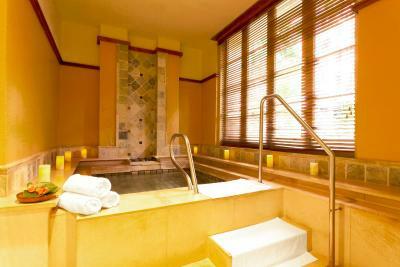 The resort also features a hot tub and water sports rentals. 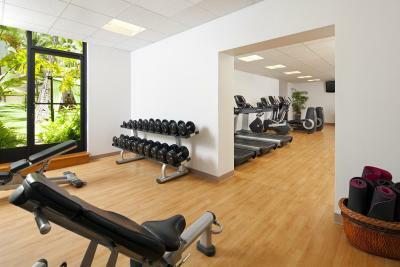 Daily cultural activities are also available to guests. 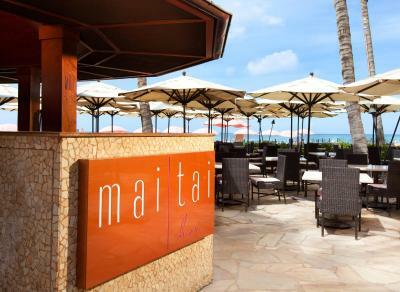 The Mai Tai Bar serves tropical cocktails and nightly entertainment with views of Diamond Head. Surf Lanai is open for breakfast and lunch, specializing in mainland classic dishes with tropical accents presented in a refreshing manner. 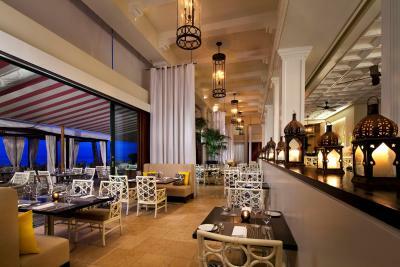 Azure Restaurant serves the freshest local seafood caught daily. Kids under 5 years of age can eat for free off the kids menu with one paying adult. 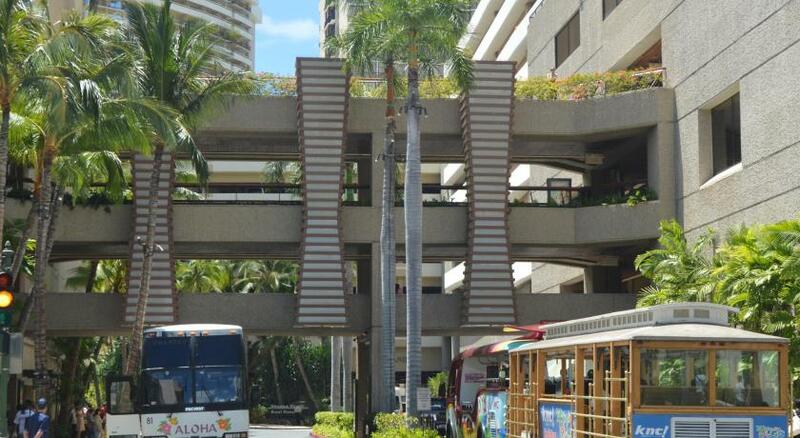 The Royal Hawaiian is one mile from the Honolulu Zoo, and 5 minutes' walk to the International Market Place. 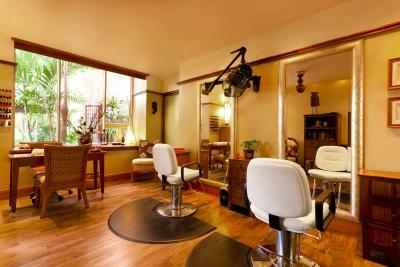 뀐 Located in the top-rated area in Honolulu, this property has an excellent location score of 9.1! 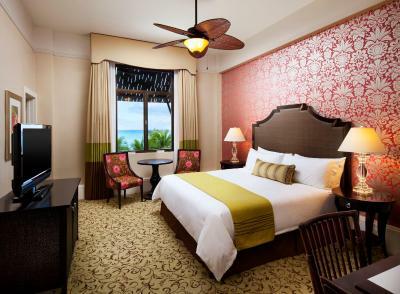 When would you like to stay at The Royal Hawaiian, A Luxury Collection Resort, Waikiki? 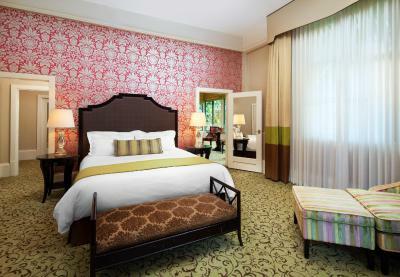 This double room has air conditioning and garden view. 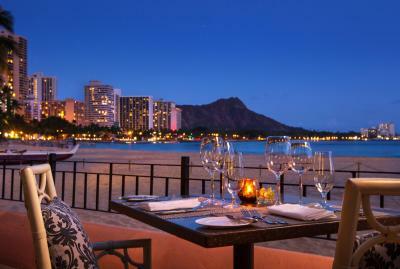 House Rules The Royal Hawaiian, A Luxury Collection Resort, Waikiki takes special requests – add in the next step! 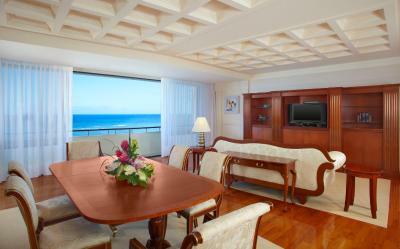 Any additional older children or adults are charged USD 155 per night for extra beds. 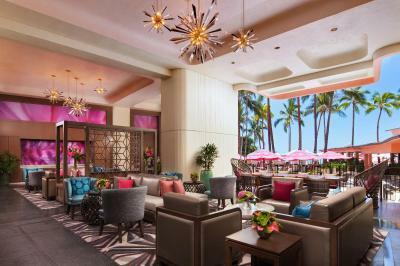 The Royal Hawaiian, A Luxury Collection Resort, Waikiki accepts these cards and reserves the right to temporarily hold an amount prior to arrival. Please note: Rooms booked with breakfast included apply for 2 guests per room. 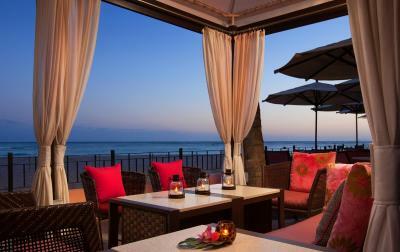 For the Timeless Waikiki rooms: A $100 USD resort credit is valid at Surf Lanai, Aha Aina and Mai Tai Bar. 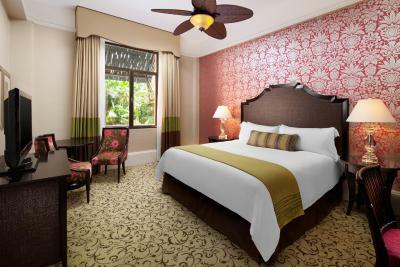 For the Pursue Your Paradise rooms: The resort credit can be used towards upsell upon check-in, spa services, dining at select outlets and the Kid's Club. Parking is a separate charge and rates are 40 USD Valet. 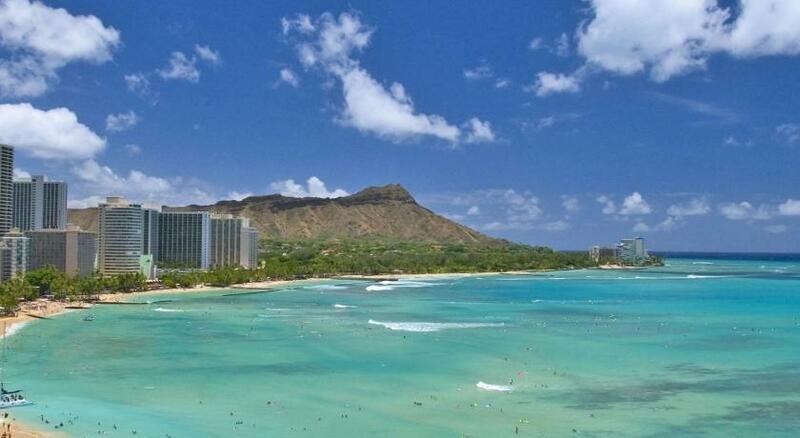 -Ocean Ritual, Weekly Diamond Head Hikes and more! 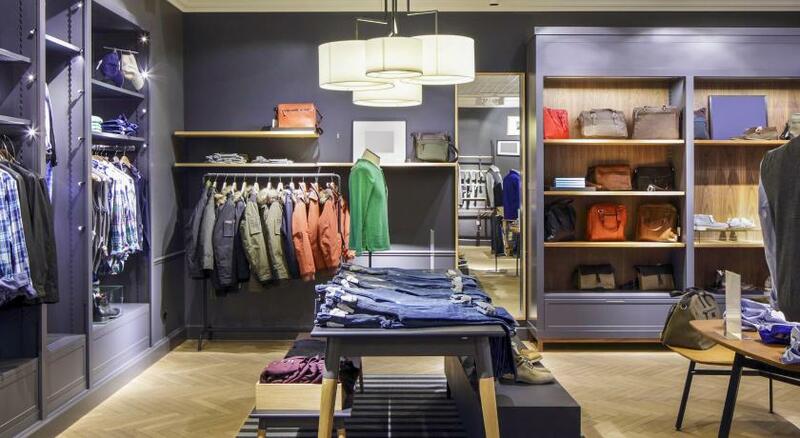 - $20 Gift Card at select retail shops at The Royal Hawaiian Hotel - applicable towards Mens and Womens apparel (not applicable to discounted items) with $100 minimum purchase.